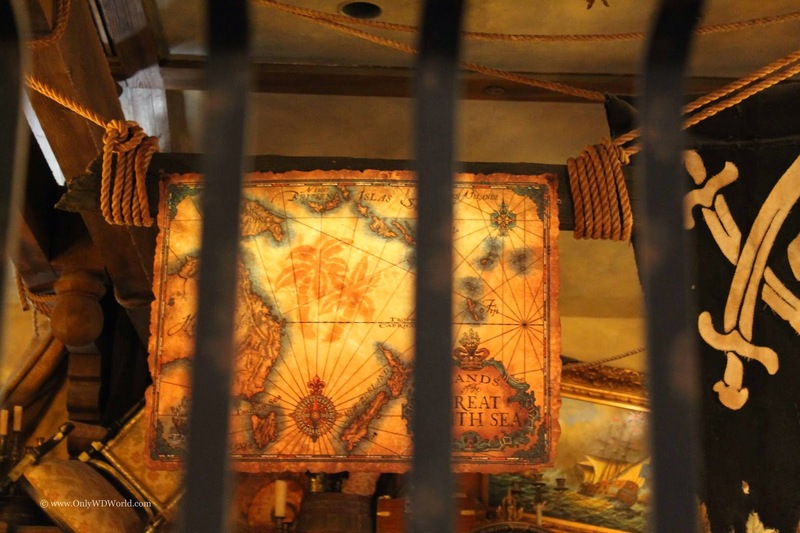 For those of you who can never get enough Pirate related adventures when visiting the Walt Disney World Resort, then you will definitely want to check out one of the newest interactive adventures that has been added to the Magic Kingdom. 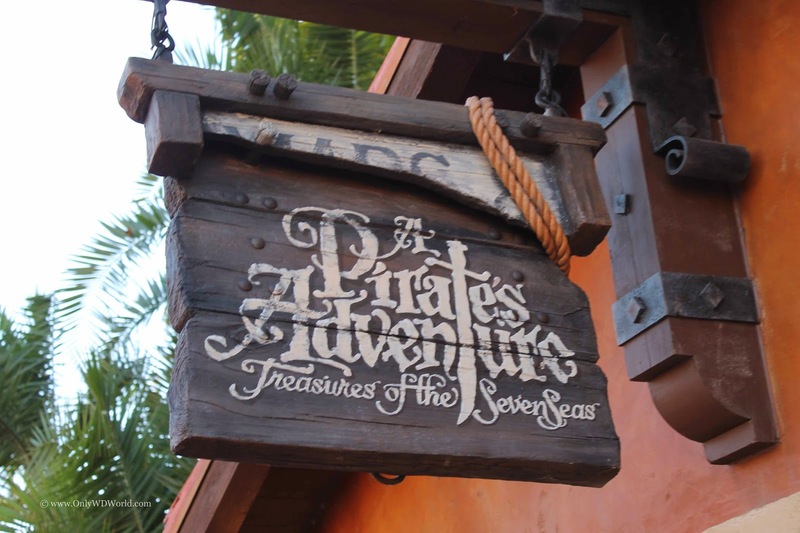 You can find A Pirate's Adventure - Treasures of the Seven Seas located in the very back of Adventureland, past the Pirates of the Caribbean attraction and on your way to the back of Frontierland. If you are not paying attention you can miss the building where you get signed up and start your adventure entirely! 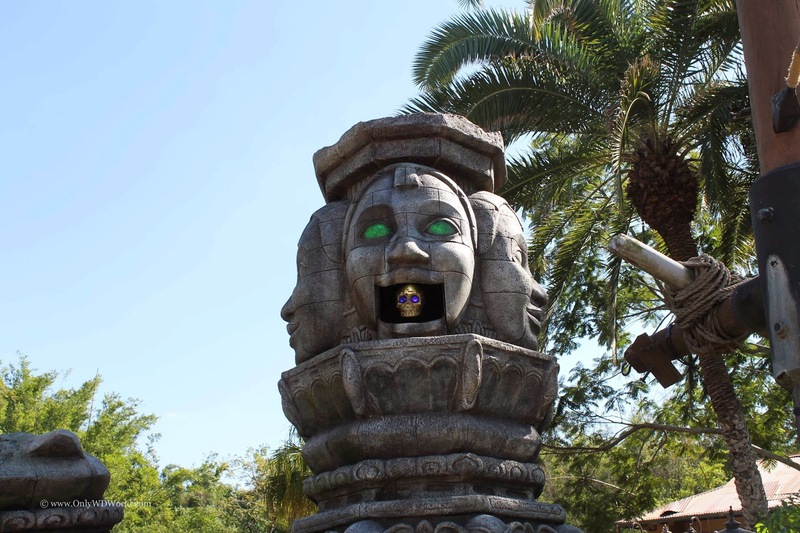 This can really be considered a Hidden Disney Secret! 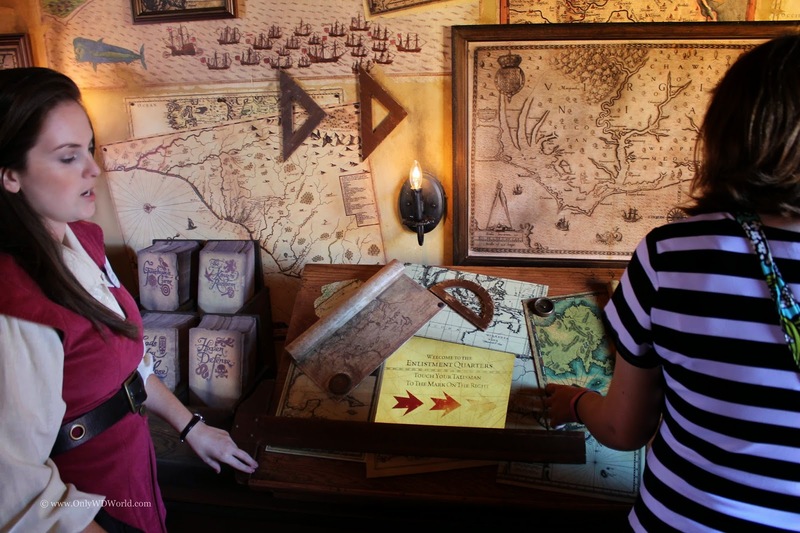 Once you enter the hut, you will receive your instructions and be given a map and a magic talisman (card) that will help you unlock clues. 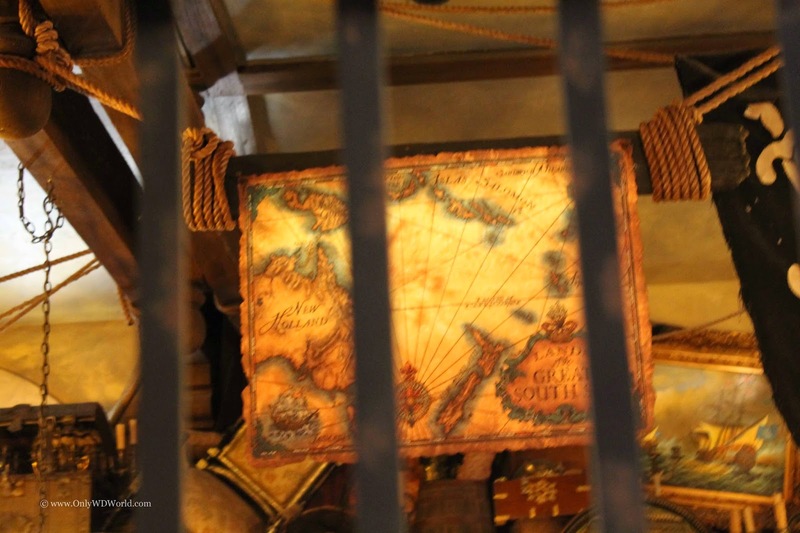 There are 5 different adventures where you are assisting Captain Jack Sparrow discover the treasures before any other pirates can get it. You use these map to work your way to help recover the treasure. 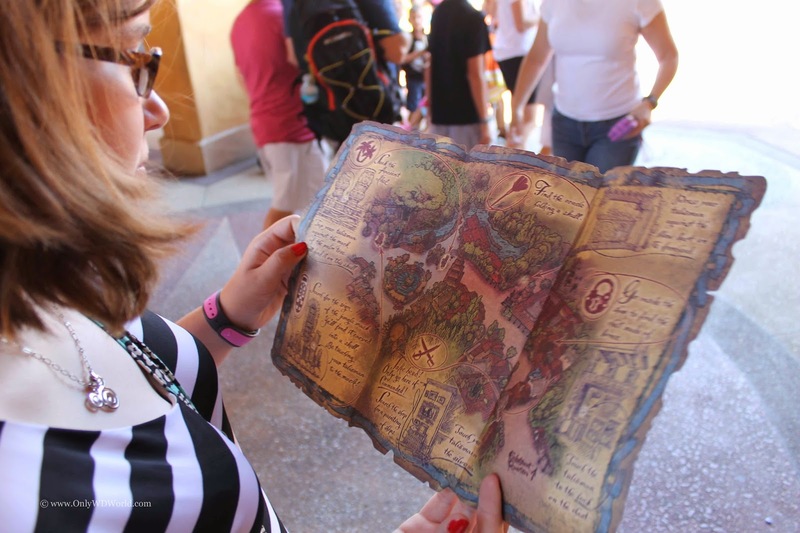 It has some similarities to the old Kim Possible World Showcase Adventures and the more recent Agent P's World Showcase Adventures, but instead of the special cell phone, you have a card and a map, which work very well. 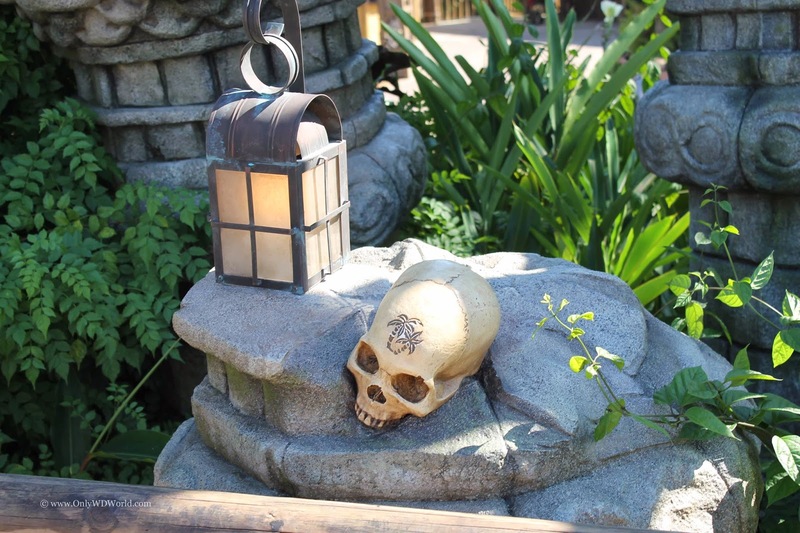 Each of the 5 different adventures takes about 20 minutes to complete as you are sent searching for clues in various parts of Adventureland. Each adventure has you look for around 4 to 5 clues. As you find the clue, you touch the magic talisman that you were given to the clue and something magical happens, each one is unique and different. At the end of the discovery, you receive your next clue. 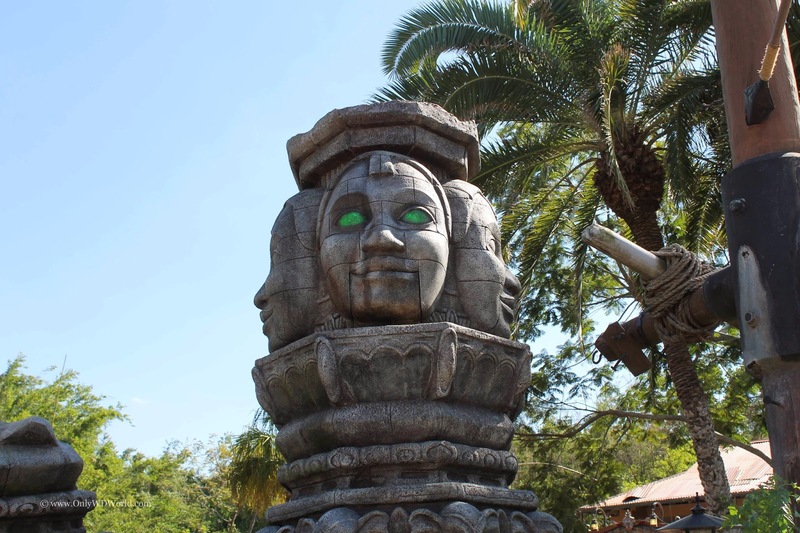 The special effects are even better than what you see in the Epcot adventures and the fact that each adventure is fairly quick to play, makes it a nice diversion for a family to play together. 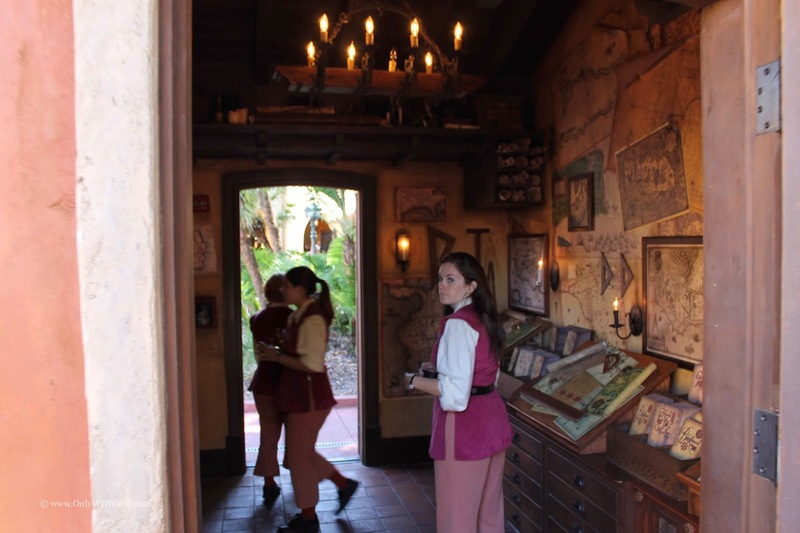 Add this FREE activity to the Sorcerers of the Magic Kingdom and you have two great interactive activities that the whole family can play together and have fun. 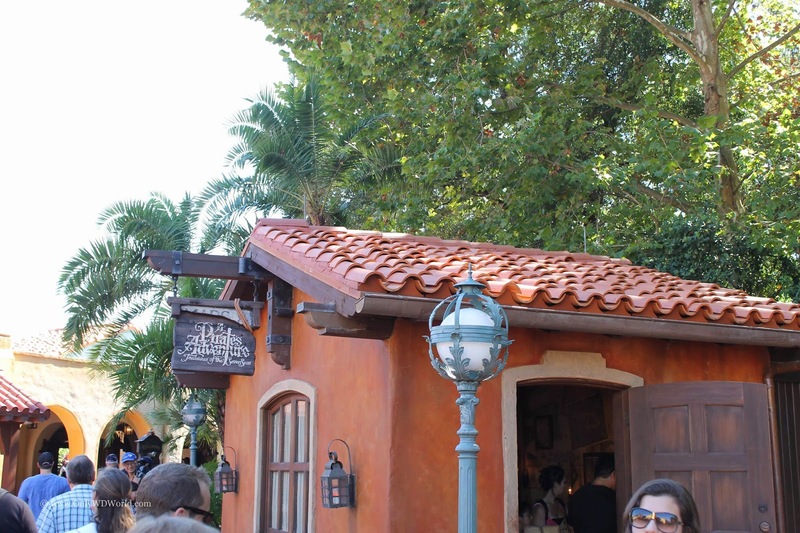 This is especially fun for families that have been to the Magic Kingdom before and looking for something new and different to do. 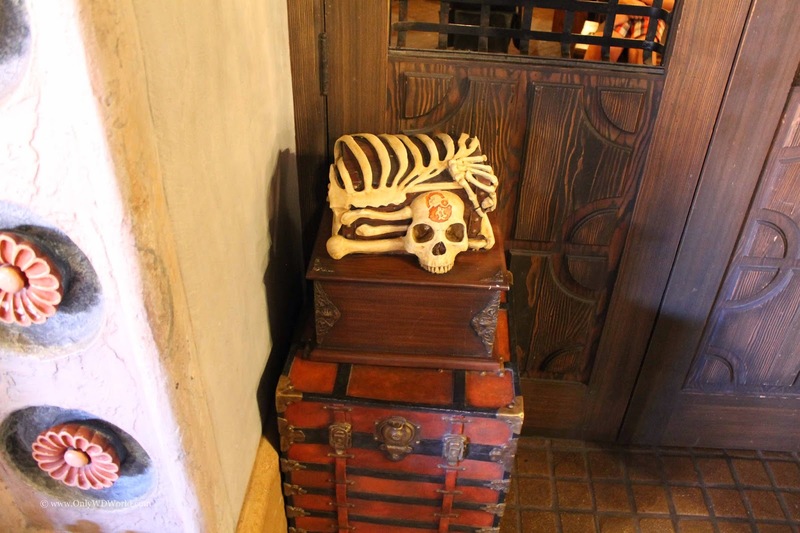 0 comments to "A Pirate's Adventure - Treasures of the Seven Seas Is The New Magic Kingdom Interactive Activity"